Ch. Lakeside's The Goodbye Look, " Fagan", was finished out of the Bred-by class. 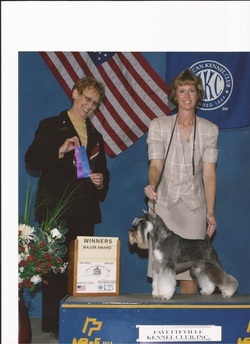 He finished his AKC title with a Group 1 at 10 months of age. He is a grandson to Rooster and Twister.